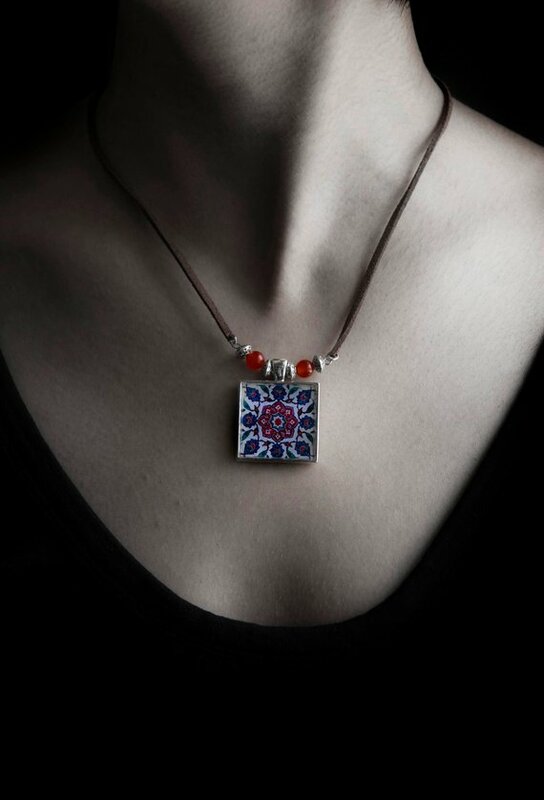 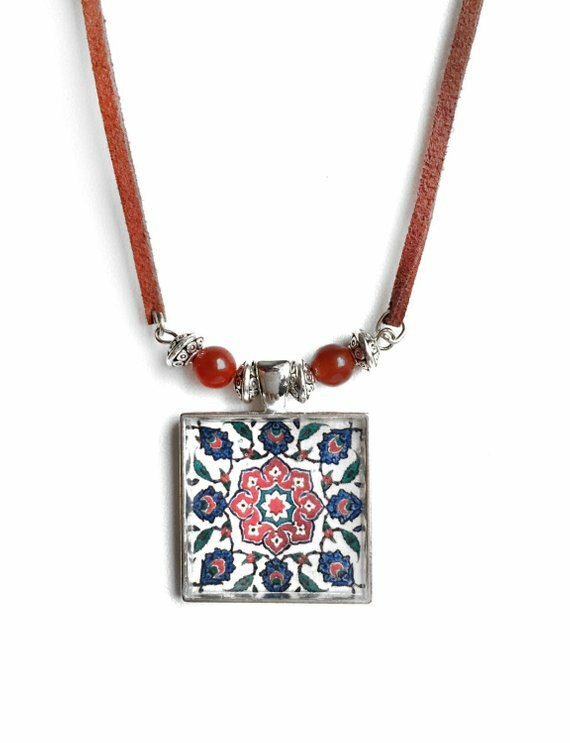 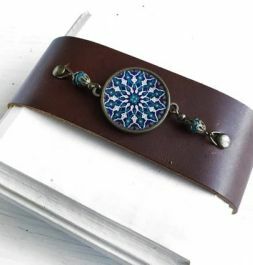 This beautiful, one of a kind necklace features a square pendant that has an old tile pattern coated with a layer of glassy resin to make it shiny. 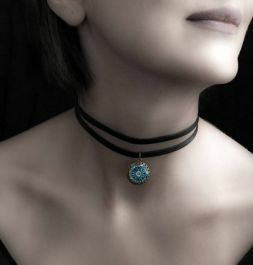 The pendant dangles from a 18 inch brown suede leather cord (including the clasp). 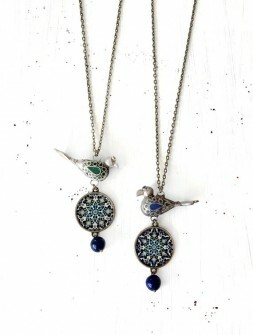 The result is a lightweight necklace that is perfect to wear in the everyday life. 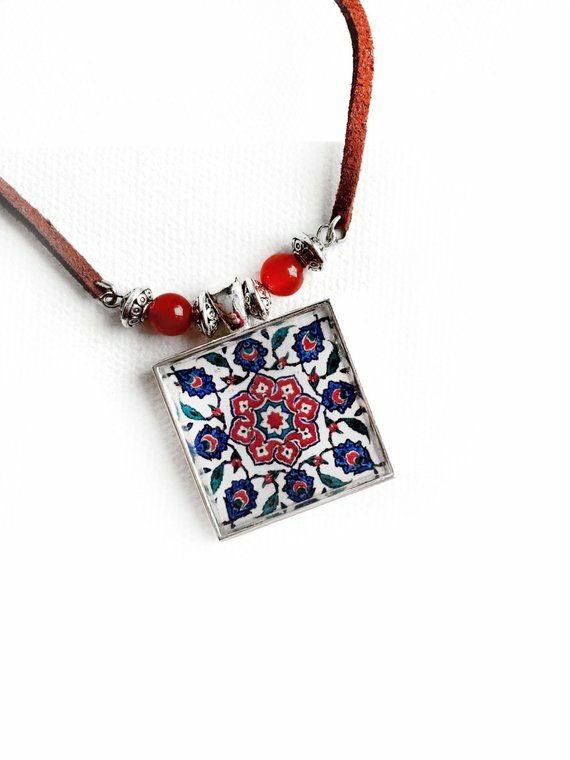 The square pendant is in antique silver tone made of Zinc Alloy Metal (Lead & Nickel Free). 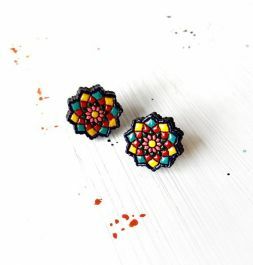 It measures about 1" W x 1 3/8"H.